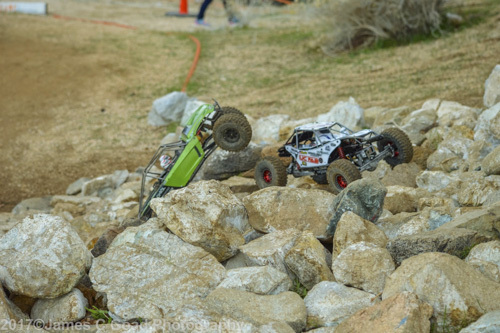 The entire Winter Series was a back and forth battle in every U4RC class; but the SoCal U4RC Winter Series Finals proved to be the ultimate test of both the racers fortitude and their rigs alike. 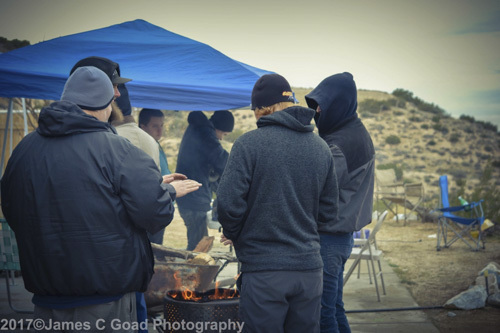 There was an initial short rain delay first thing in the morning then the racers dealt with blustery winds and mid 30’s temperatures all day long. 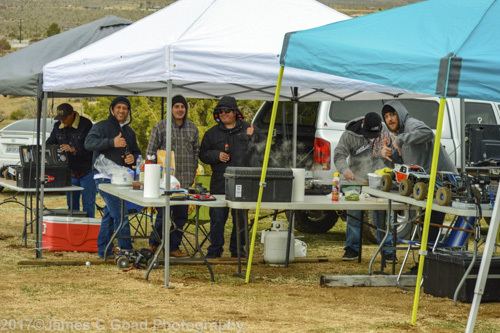 With that being said, there was still impressive attendance and lap times at the Finals. U4 racers are definitely a hardy bunch. 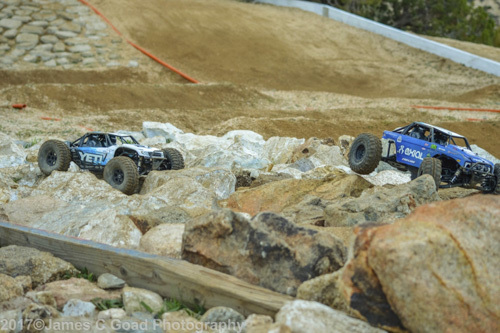 Several “series podium spots” were undecided going into the final event, which surely encouraged racers to attend despite the inclement weather. 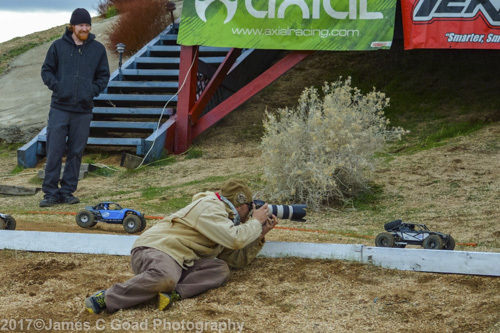 The Axial Racing crew was out in force at the U4 Finals, with John Schultz racing for the day, as well as Rodney Wills and John Cary handling the media duties. 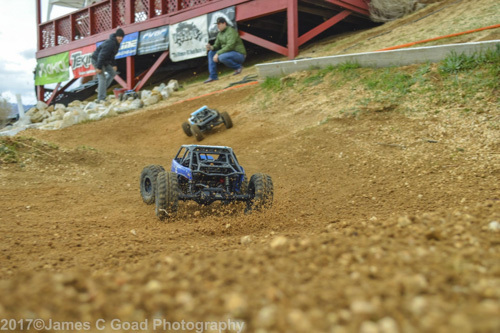 Thanks to Axial, U4RC was able to hand out tons of Axial Racing swag and 3 sweet Yeti Jr’s to our racers at the end of the event! 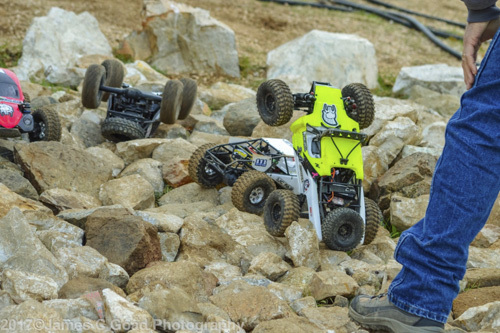 Needless to say the racers were ecstatic over the prizes offered from Axial. 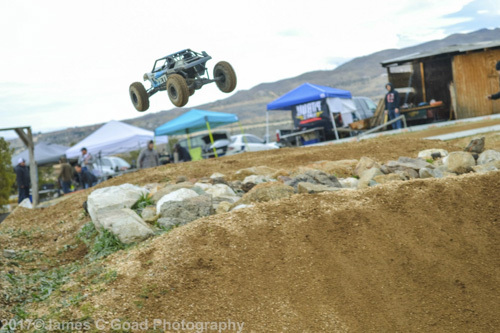 1.9 Trail: The 1.9 Trail class top spot was “dead even” going into the finals between drivers’ Josh Hanson and Gene Boyd. Josh was eventually able to edge out Gene for top honors in the class for the series. The racing between these two was intense all day, and all series long as well. 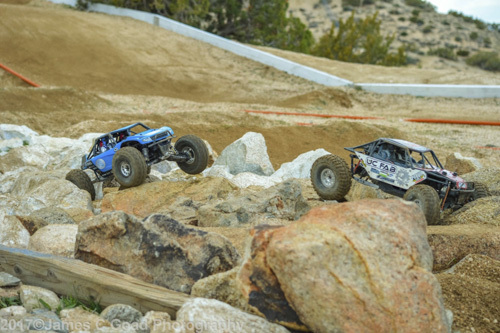 Both Josh and Gene race with highly modified SCX-10 based rigs. 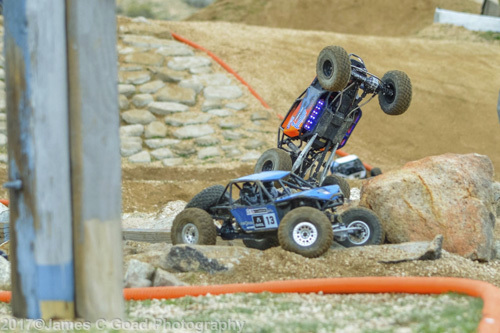 Third place in the series went to Jeremy Dee running a tamer version of the same SCX-10 platform, proving that consistency without extensive modifications can also prevail in U4RC racing. 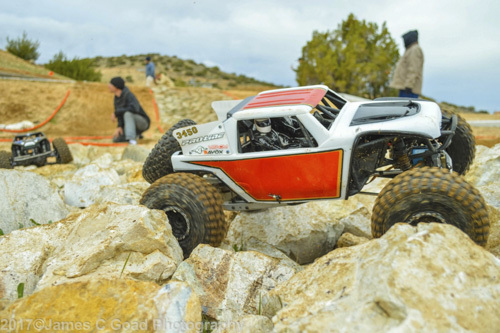 This series also saw its first SCX-II competing successfully in U4RC with a podium finish on its first outing. 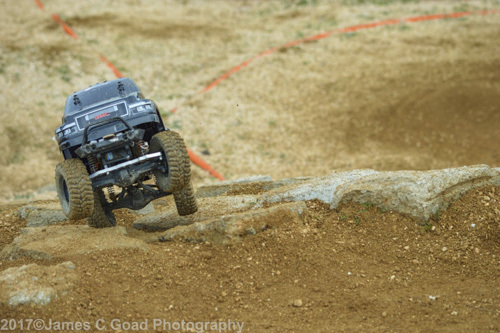 Josh Hanson, the winner for the day in 1.9 Trail, went home with a cool Yeti Jr, courtesy of Axial. 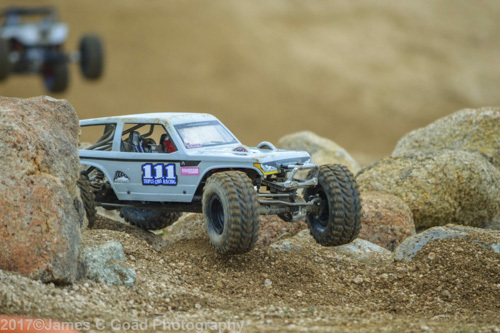 1.9 Comp: This class is for “IFS” rigs clad with 1.9” tires. 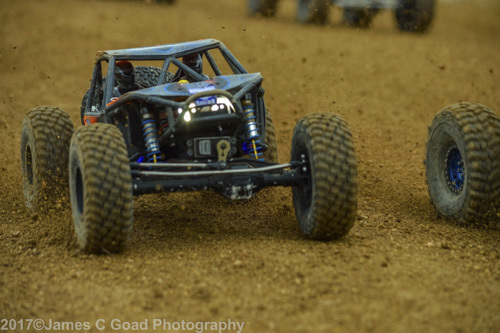 Troy Spindler took top honors for the series with a slew of TQ’s, followed up very closely by Austin Daynes in 2nd place. 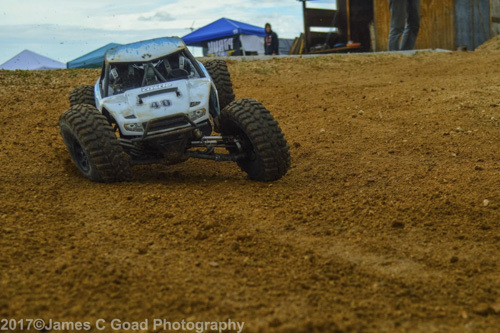 Third place for this class was split between racers John Askar and Shawn Fant who swapped finishing positions the entire series! Next series should be an awesome show between the two of them. 1.9 Trophy: This is the smaller version of the 2.2 Trophy class. 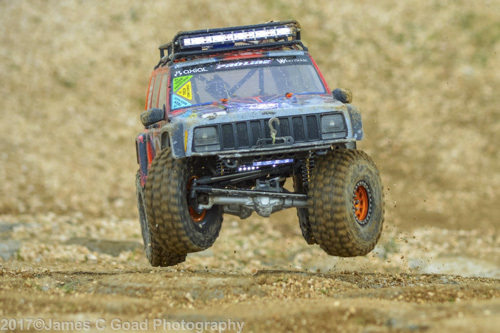 Mike Duncan dominated the series in 1.9 Trophy leading to a number one spot for the class, with his custom IFS rig. 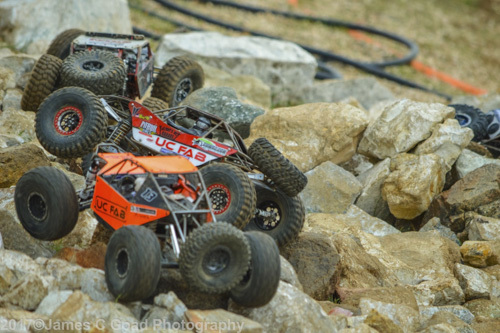 Veteran U4 racer, Bob Edwards went home with 2nd place for the series racing on a “consistency” platform. Finishing in 3rd place for 1.9 Trophy was Justin “J-Bod” Bodewitz. 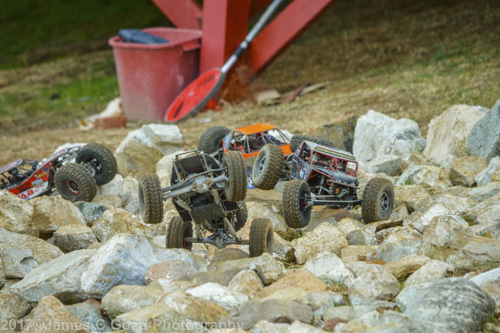 Both Bob and Justin both were competing with Axial based platforms on their 1.9 Trophy rigs. 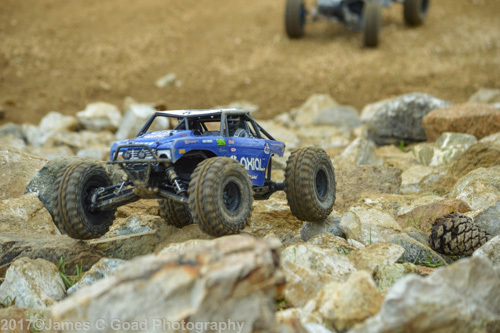 2.2 Comp: 2.2 Comp class has historically been a hard fought class, mainly due to the wide availability of rigs like the Wraith, and Bomber from Axial. 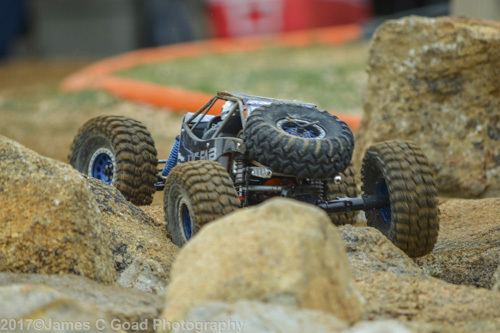 This series the Champion for the class Austin Daynes, was running a modified Axial Wraith. 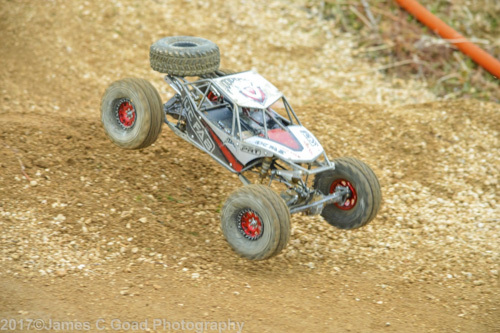 Austin eclipsed the competition by grabbing TQ’s at every event in the series in this class. 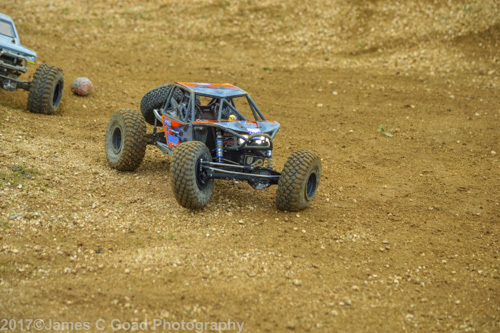 Jeff Garcia took home 2nd place honors with his beautifully painted Axial Wraith. 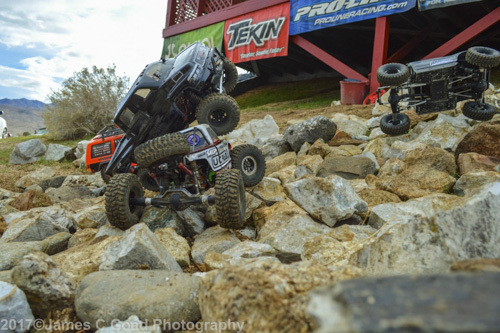 Third spot on the podium for the series went to SoCal’s Brett Carson racing with an Axial Bomber. 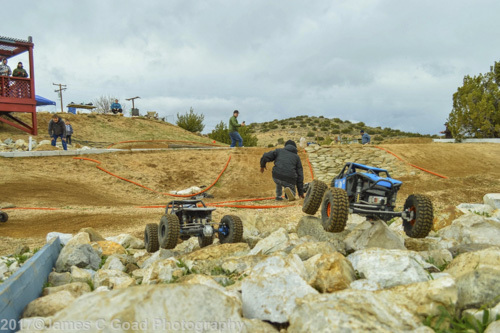 You would be amazed at the all-out performance these competitors are getting from their rock racers. 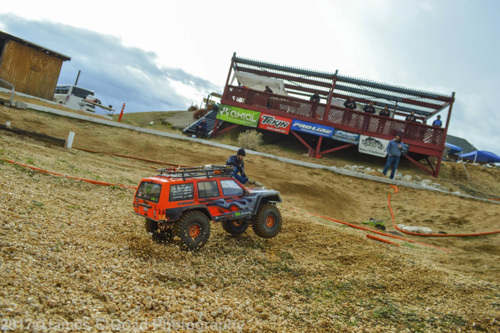 Troy Spindler was lucky enough to take home a Yeti TT Jr, courtesy of Axial, for his top finishing spot on the day. 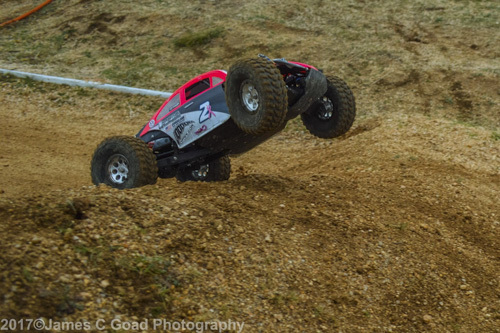 2.2 Indy: Austin Daynes proved that he also had what it takes to come out on top of the 2.2 Indy class. 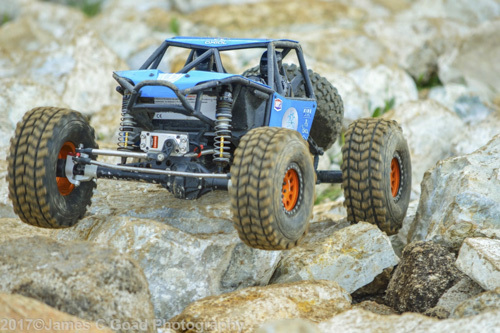 2.2 Indy is a class which is packed full of Axial Yeti’s from mild to wild. It is no surprise that Austin grabbed the “fastest lap time” for the day. 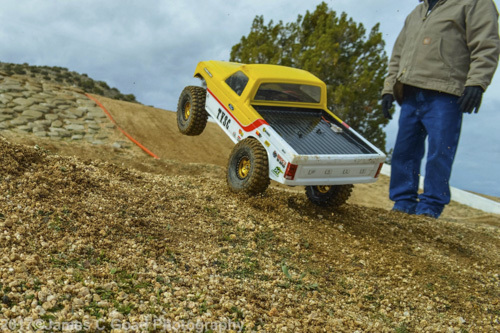 Even better is that he was rewarded with an Axial Yeti TT Jr for that hot lap. 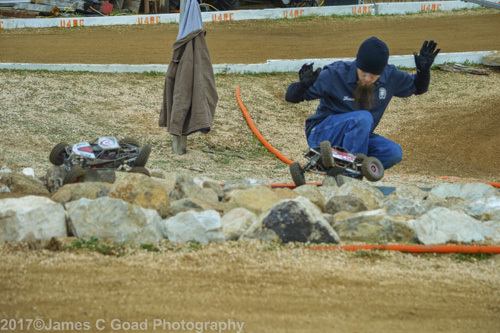 Chris Pickering wrapped up a 2nd place spot for his efforts during the series. 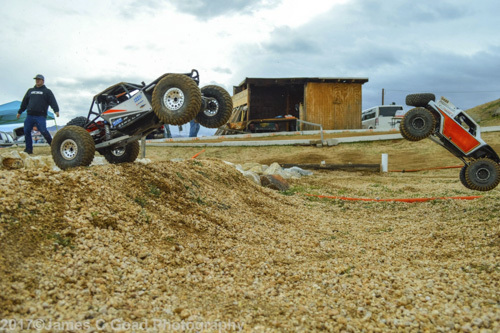 The “Ironman” Gene Boyd, took home the 3rd podium spot with his meticulously prepped Yeti. This class has, without question, has been completely dominated by the Axial Yeti since its inception. 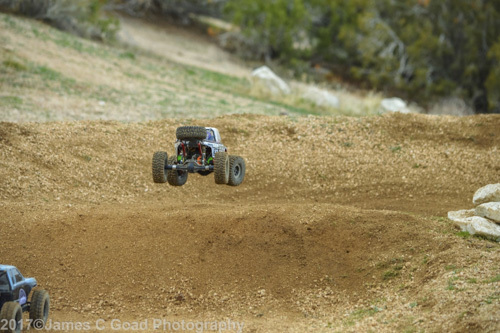 The Yeti seems to be the rig in Axials line up that has most opened up the “rock racing world” to the masses. 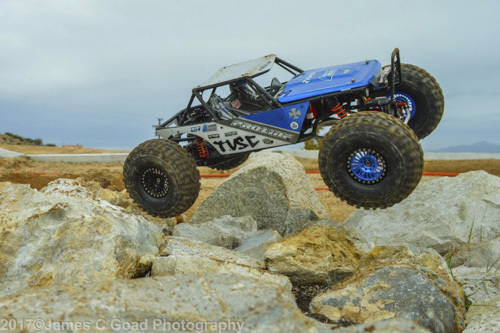 Yeti’s flat out handle rock racing great and are available in either an RTR or a Kit platform. 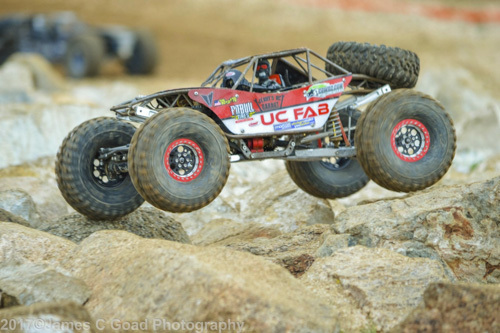 2.2 Trophy: If any class in U4RC would be considered the “big boy” class, this would be it! 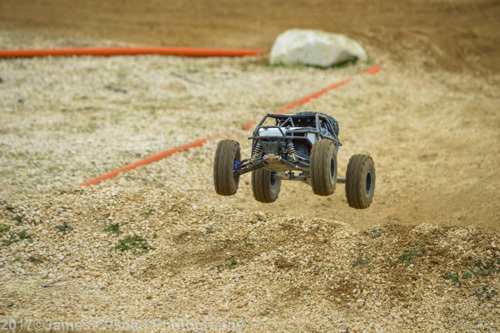 Metal chassis’ and high levels of realism are par for the course in Trophy. 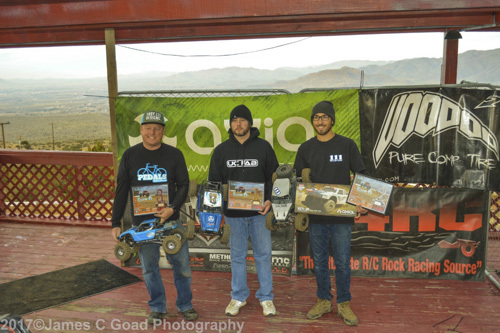 First place for the series was awarded to Mike Duncan and his radical FIS race rig. 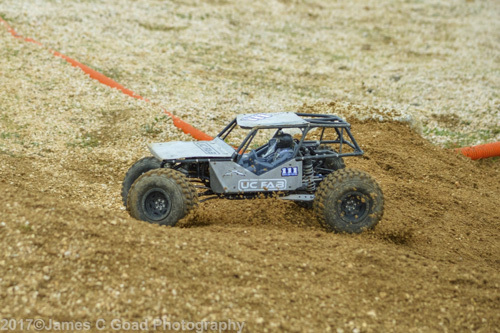 Chris Pickering, Cherry Valley track operator, managed to wrestle a 2nd place finish in the series running an “oldie but goody” first generation U4 chassis. 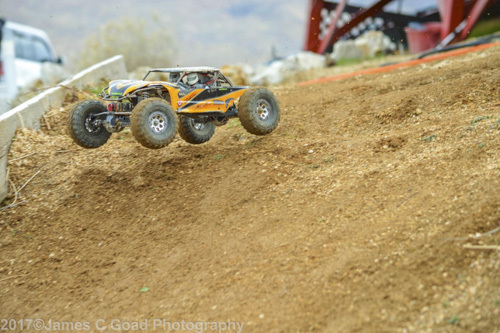 With his 3rd place finish, the “Ironman” Gene Boyd once again captured a podium spot for all his dedication to racing and rig prep. The majority of rigs being run in 2.2 Trophy classes all over are Axial based, from on one or another of their platforms. 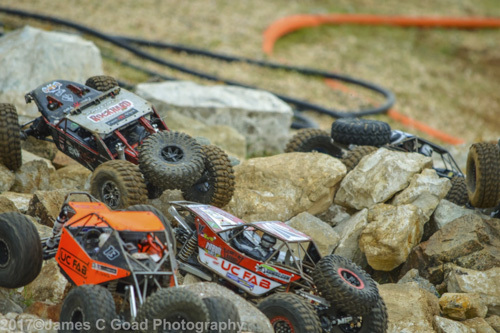 With Axial Racing as title sponsor of the 2017 Axial Racing/U4RC Winter Nationals, this year is destine to be the biggest year of growth so far, for U4RC. 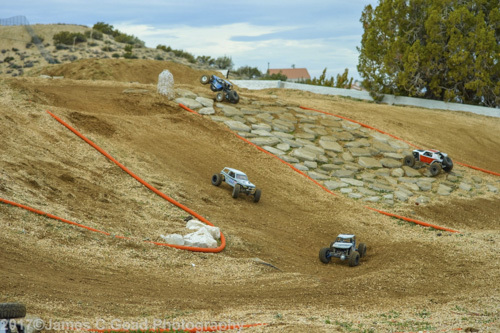 The Winter Nationals this year will be held February 24-25, 2017 in conjunction with the 2017 Dirt Nitro Challenge at Fear Farm RC Raceway in Phoenix, AZ. There are already drivers registered to attend from all across the USA. 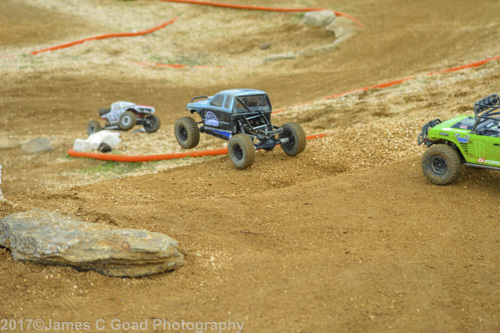 The event is open to all racers regardless of running and placing in a local U4RC series.